After pedestrian Elaine Herzberg was killed while crossing the street in Tempe, Arizona, in March of 2018, Uber’s self-driving program looked to be in trouble. Herzberg was the first person killed by a self-driving car operating in autonomous mode, and it put Uber under scrutiny by local police, politicians, and federal regulators. Now, nine months later, Uber’s self-driving autos are rolling back out onto the streets. On Thursday, the company’s self-driving cars will start testing again on the streets of Pittsburgh, after seeking and getting the go-ahead from Pennsylvania’s Department of Transportation. “Over the past nine months, we’ve made safety core to everything we do,” said Eric Meyhofer, head of Uber’s Advanced Technologies Group in a statement. “We implemented recommendations from our review processes, spanning technical, operational and organizational improvements. This required a lot of introspection and took some time. Now we are ready to move forward.” Introspection and time are generally recognized as the two keys components needed after one of your cars kills someone crossing the street. 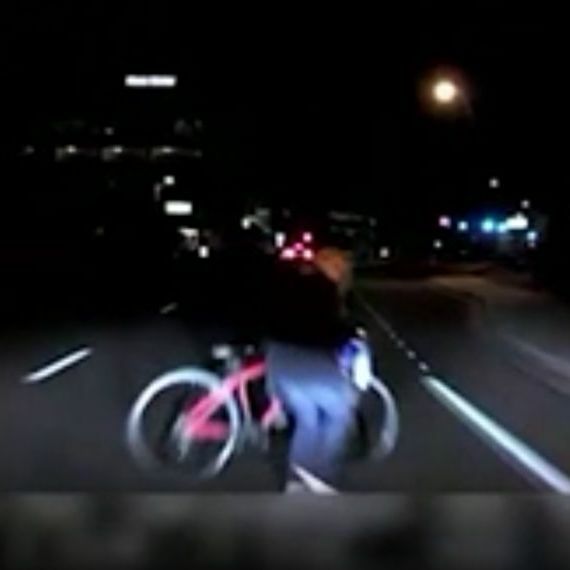 A federal investigation into exactly what happened in Arizona is still ongoing, but video from the crash shows the pedestrian crossing a relatively dark street with a red bike, while the Uber safety driver looked repeatedly down at her phone. It’s believed that the car’s automatic emergency-braking system was disabled for unknown reasons, which means the car’s sensors may have seen Herzberg, but been unable to brake. Uber will also start testing cars again on the streets of San Francisco and and Toronto, but in those cities the cars will not be allowed to operate in autonomous mode, and instead be controlled by two human drivers. Uber is generally seen as falling far behind both tech rivals like Waymo and more traditional automakers like General Motors when it comes to the self-driving car market. Travis Kalanick, its deposed CEO, said in 2016 that if Uber didn’t win the self-driving car race, “the future passes us by basically, in a very expeditious and efficient way.” With Uber preparing its IPO for 2019 in a market that looks increasingly poised for a downturn, it may be too late for them to catch-up.